The traditional formula for achieving balance in a cocktail involves four elements: strong, sweet, sour, and bitter (or weak, in the case of punch). As well as it works, it has its obvious limitations for bartenders bent on advancing their craft. What about salt, or spice, or umami components? If they matter on the plate, why not in the glass? In recent years, beverage pros have begun to take more and more pages from the recipe books of the chefs they work with, in search of answers to those questions. According to Danny Villa, head bartender of contemporary Asian hot spot KYU in Miami, sourcing from the kitchen makes all kinds of sense. Not only is it more efficient, allowing the culinary and bar teams to “cross-utilize some ingredients, coordinate on orders together, and reduce waste,” but it also makes pairing easier: “We don’t have to worry about a drink burying the flavors of a dish,” he explains, when each complements the other. 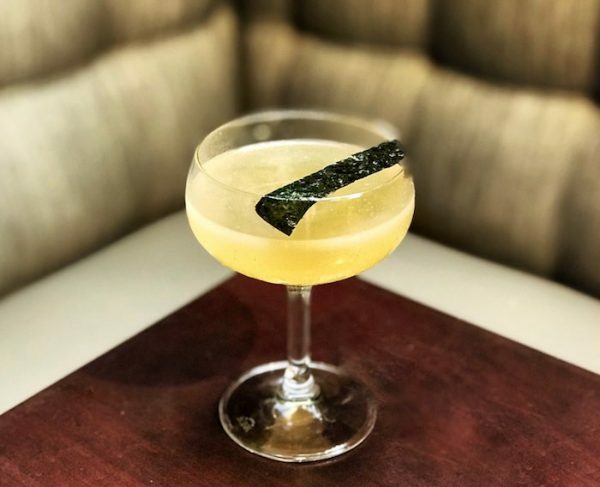 In short, what he and others have discovered is that, when carefully incorporated, these “savory” ingredients don’t so much disrupt the classic cocktail formula as expand upon it. Insofar as food, far more than booze, evokes long-cherished memories, can savory cocktails that mimic it also have an emotional pull? That’s what James Bolt, owner of The Gin Joint in Charleston, imagines. Take okra: Bolt squeezes liquid nostalgia from the staple Southern crop by charring it to eliminate its “slimy, sludgy” texture, and then turning it into a simple syrup that he combines with yellow curry-infused rum, coconut milk, sweet chili oil, and lime. In fact, it is cooking, sometimes. Dan Pontius, bar manager at Alden & Harlow in Boston, describes a recent experiment in which one of his bartenders “sautéed maitake mushrooms in butter with shallots, rosemary, and tarragon and then just dumped it into a neutral grain spirit,” which they later strained and skimmed for what they amusingly called a Maitake on a Manhattan. It’s as though “you’re making dinner for yourself, and it’s delicious,” he jokes. Of course, he adds, it takes many such experiments to get a feel for how, say, grilled carrots, roasted sweet potatoes, or fresh pea greens—all ingredients he’s worked with—are going to interact with booze as well as express themselves. 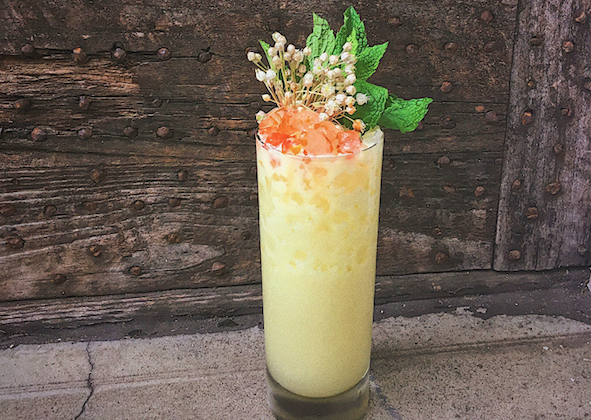 Pontius, Bolt, and Villa all vouch for the fact that their “weirdest” cocktails tend to become their biggest calling cards, giving their guests new insight into how ingredients highlight or transform one another. Pontius recently enjoyed a moment of validation when he overheard one of his customers say to another, “When you see something that sounds like something you would never order, that’s the one you get.” That’s my advice to you, too. To make the nori infusion, use 5 sheets of nori per 1 liter of neutral grain spirit. Pour spirit over nori, seal, and let sit overnight. Strain through tea strainer. Combine all ingredients in a shaker with ice; shake and double-strain into a cocktail glass. Garnish with a strip of nori.